Still slacking here as I need to get back in the groove of things after a long weekend! 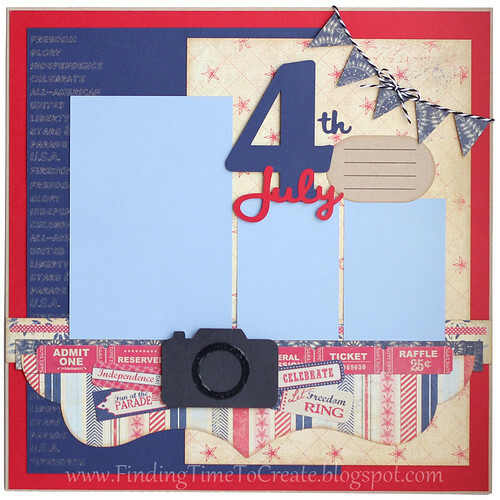 Lucky for all of you that Kelly of Finding Time to Create shared this cute 4th of July page, and she has a share for the camera and journaling shape and more on her blog! 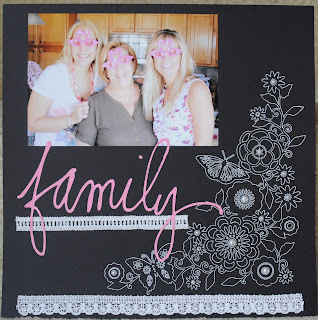 She used both the Chomas Creations adjustable pen and marker holders for this page! So stop on by Finding Time to Create to find out more info! 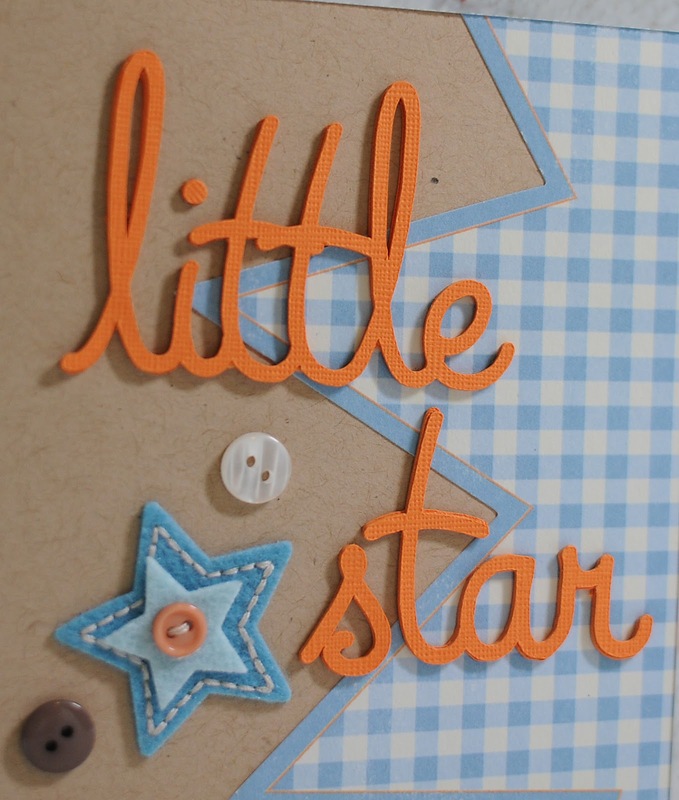 Thanks for sharing another great project Kelly! And I bet you get some awesome pics this 4th to add to it! There are also only 2 days left to use the coupon code may10 to save 10% off your entire purchase in the Chomas Creations store! Jessica... 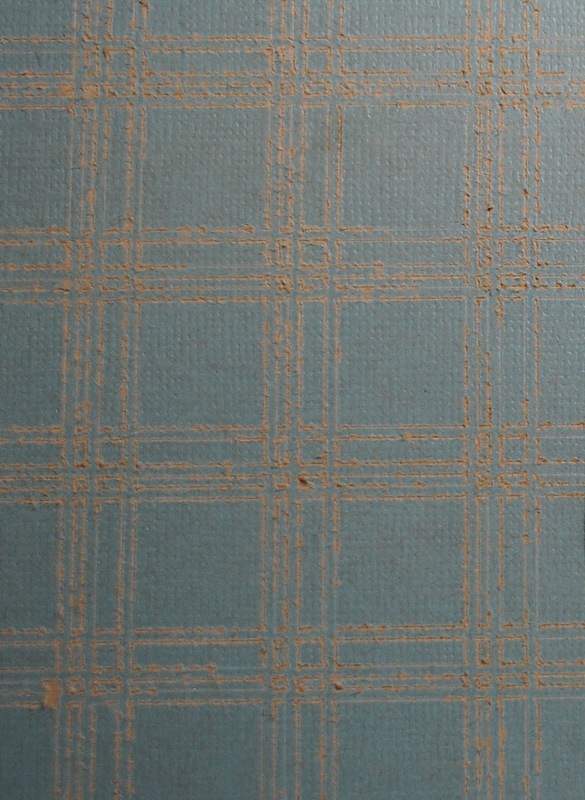 Such a creative way to make your own background paper! I would LOVE to be able to try that! 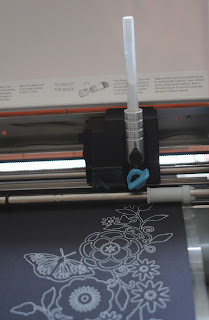 I've been a Cricut-owner for some time now, but just got my Cameo and can't wait to try the sketch and engraving features! Thank you for the chance to win!! Congrats Jessica! You have a week to claim your prize! It has been a super crazy busy week here for me! My daughter graduated high school Thursday and I had a mini party here to celebrate, and now it is Memorial Day weekend and I am spending it with the family! I will be back Tuesday with a post and the winner of the Disney Blog hop! Hope everyone is having a great weekend with their friends and family! 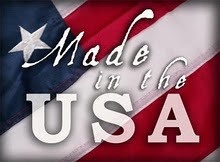 As you know Made in the USA is a big part of Chomas Creations. My grandfather served in WWII and received a purple heart after being shot in the leg overseas. We are lucky to say we still have him, and he celebrated his 93rd birthday in February. Here he is at our mini party this weekend, enjoying his family! 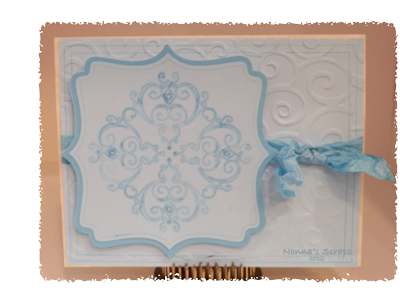 Oh I just love what Kelly of Finding Time to Create did with the Chomas Creations adjustable marker holder for the Silhouette Cameo and a Slick writer!!! 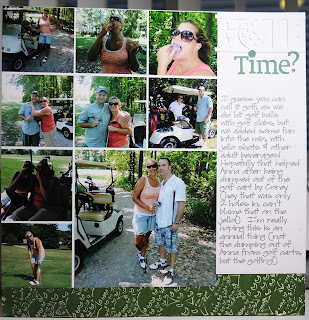 She also has a bunch of cool ideas with the Cameo that you have to see on her blog! Some of them even include the Chomas Creations adjustable pen and marker holders, so you must look, heehe! 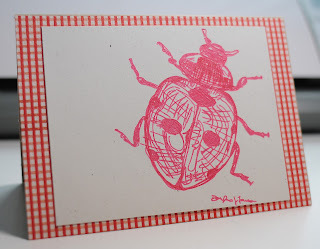 I was so excited to be included in the Disney/Pixar blog hop! This is one of my absolute fav blog hops as it always features such an amazing group of ladies! And who doesn't love Disney and Pixar?? If you have come from Lori at Scrappin My Stress Away then you are in the right place! 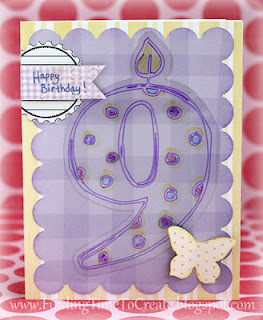 If you just happened by my blog today and want to start at the beginning, head on over to Shawn's Crafty Chics. 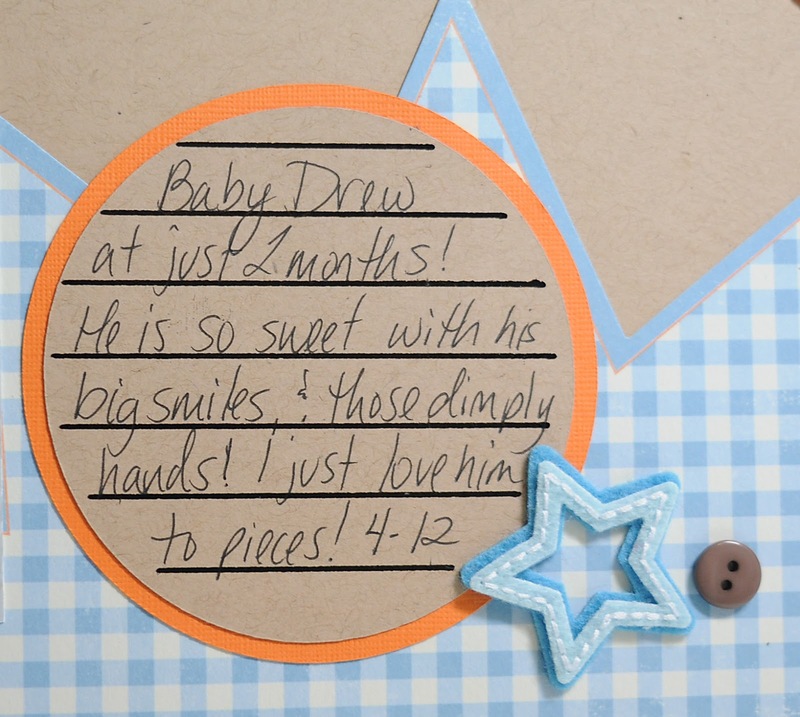 There is a chance to win a ScrapN Easel-Ette!! In case you get lost somewhere on the hop, the entire list is at the bottom of this post. Now how about a cute project? 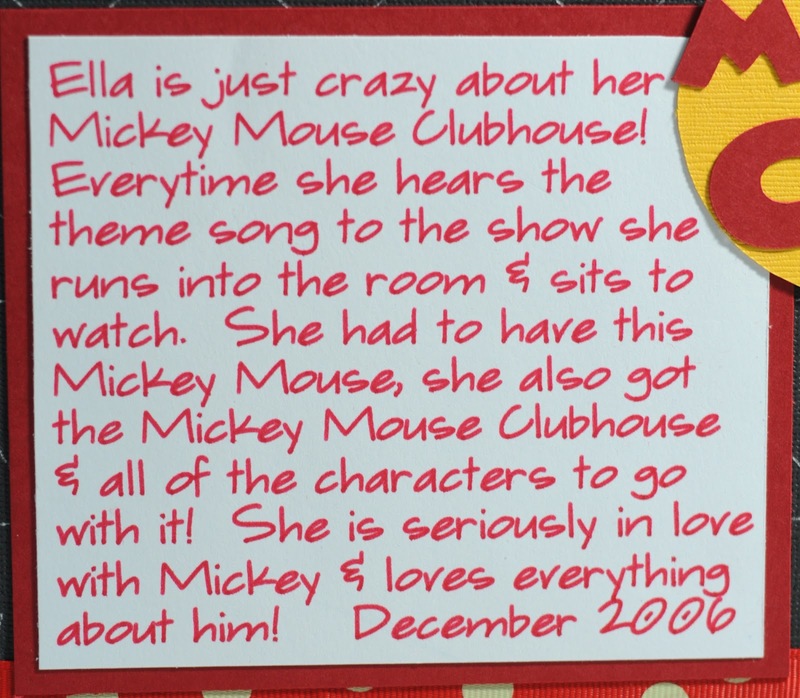 My daughter was in LOVE with Mickey Mouse when the Mickey Mouse Clubhouse first came out! She would hear the song come on the TV and run into the room to watch! So I thought it would be fun to document that! You may notice I am using my Silhouette Cameo for this project, and you may think to yourself, but there is no Mickey in the downloads!??!! Well that is ok! 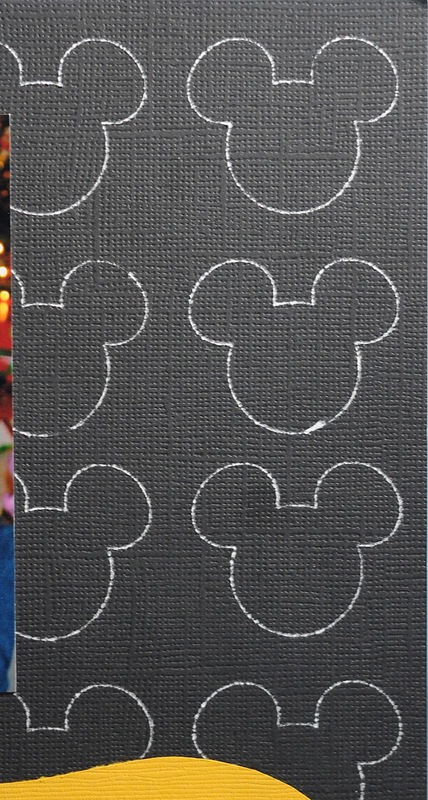 I found some Mickey Mouse ears, opened them in Silhoutte Studio and then traced them! 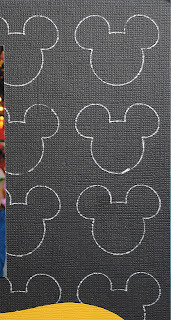 I used the Chomas Creations engraving tip in the Silhouette Cameo to etch the Mickey ears as my background on Core'dinations Black Magic cardstock (the color on the back was white) to get this look. I used my pressure on 33, speed on 8 and double cut. I used the Chomas Creations adjustable marker holder with a Paper Mate Flair (like a felt tip pen) to do the journaling on this page using some of the Lettering Delights new thin fonts. I used my speed on 6 and my pressure on 6. 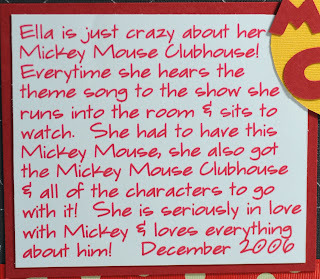 The title was done with a Minnie font I downloaded from dafont. Here is my page all put together with my Mickey loving princess! 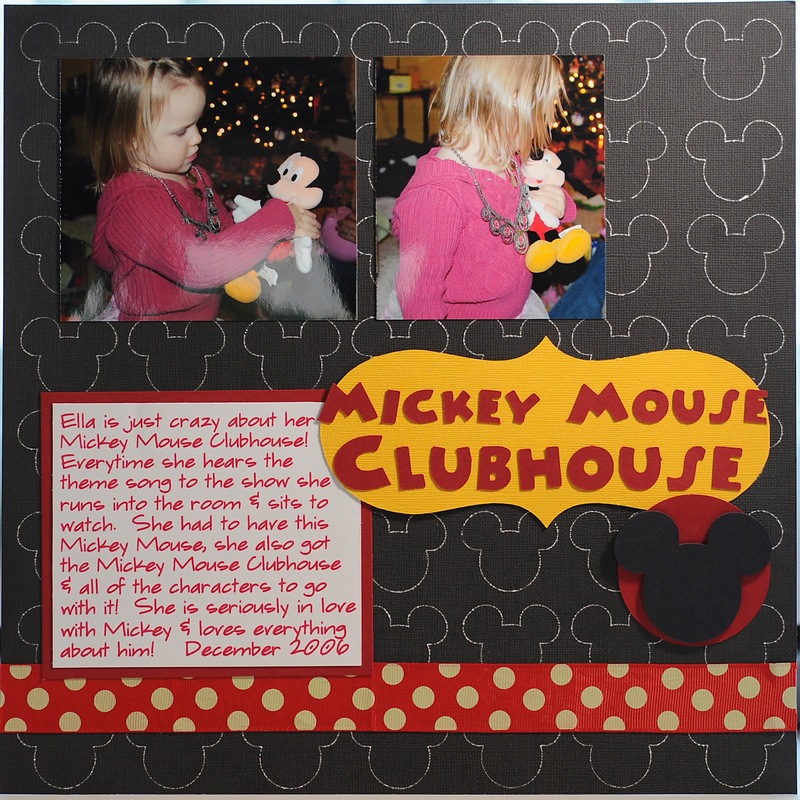 I also cut out the Mickey ears and layered them on the page and added ribbon. So how about your chance to win one of the Chomas Creations adjustable holders? 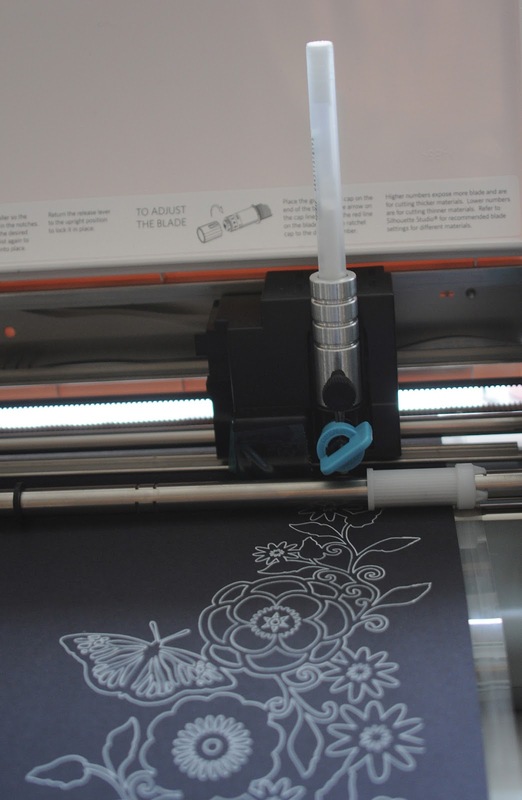 Leave a comment on what you would try with either the Chomas Creations adjustable holders for the Silhouette Cameo or Cricut! You don't have to be a follower of this blog, but why not? One chance per person please. I need a way to contact you! I'll draw a winner around Wednesday. Like what you see and want to give it a try? Use the coupon code disney10 at checkout in the Chomas Creations store to save 10% off your entire purchase! Coupon good till 5-23. Your next stop on the hop is Kathy at Kathys Cozies! Here is the entire blog hop if you get lost on the way! Just a super quick card I did with the Cameo! Tomorrow is the Disney/Pixar blog hop and I got a head start! 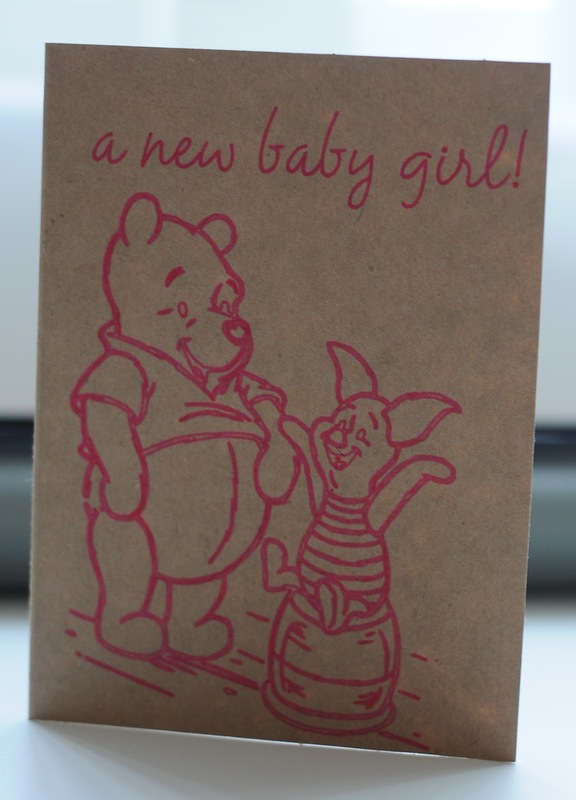 I found this Pooh and Piglet image online, opened it in Silhouette Studio and then drew it with the Chomas Creations adjustable marker holder, a Paper Mate Flair pen and the Cameo! Super quick but cute! The font is from Lettering Delights, part of their thin font collection. Be sure to drop by tomorrow for the start of the Disney/Pixar blog hop! It is going on all weekend! And use the coupon code may10 to save 10% off your entire purchase in the Chomas Creations store! Happy Mother's Day to all the moms out there! Use the coupon code mother15 to save 15% off your purchase of $35 or more in the Chomas Creations store! Good thru Sunday night, 12 pm eastern time. 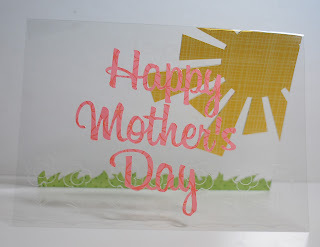 Here is a layout I did with my mom last Mother's Day! I used the Chomas Creations adjustable pen holder for the Silhouette Cameo with a white gel pen to draw the flower design! The title is a Silhouette store download that I cut out of cardstock. 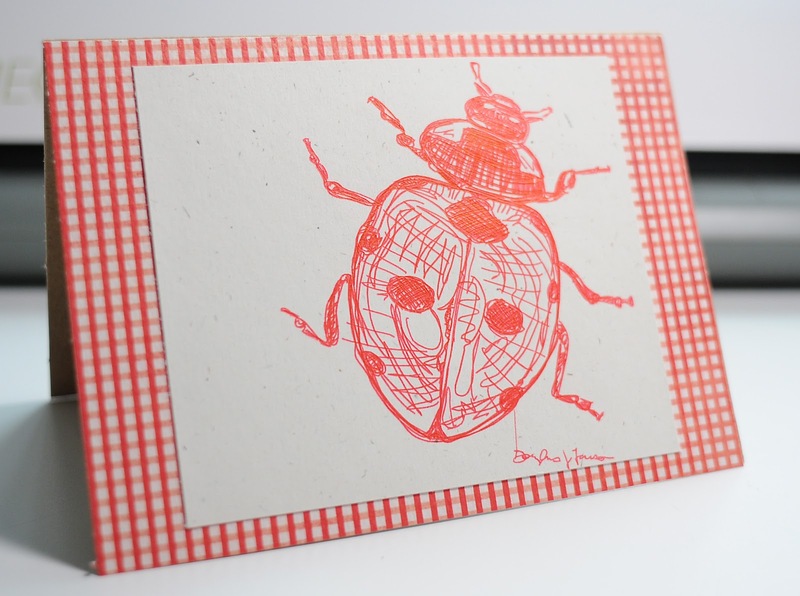 I really like the look of the white gel pen on the kraft cardstock, so that is just what I did for this card! 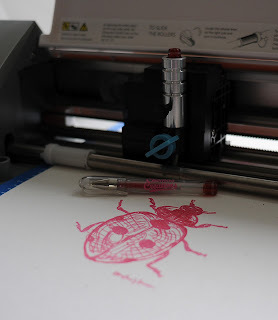 I used the Chomas Creations adjustable marker holder in the Silhouette Cameo with a Signo Uniball gel pen (my fav!) 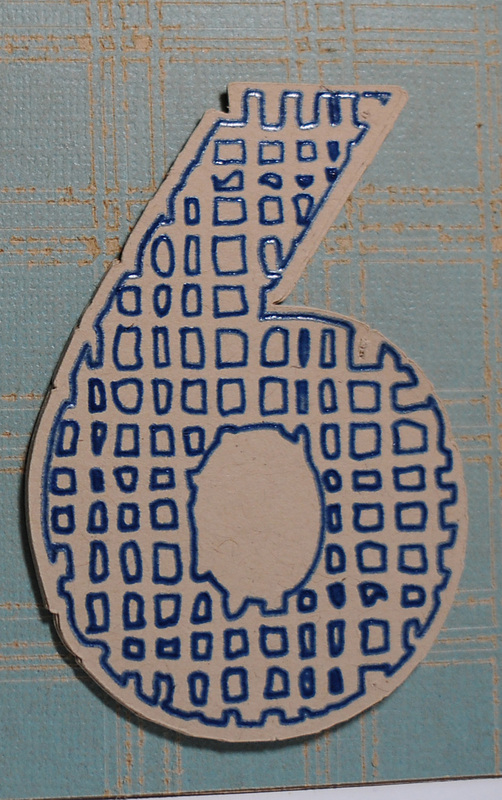 on a kraft card. I then added a felt flower in the corner! Super easy! Being I didn't have a lot of time to get this done, this file really helped out! 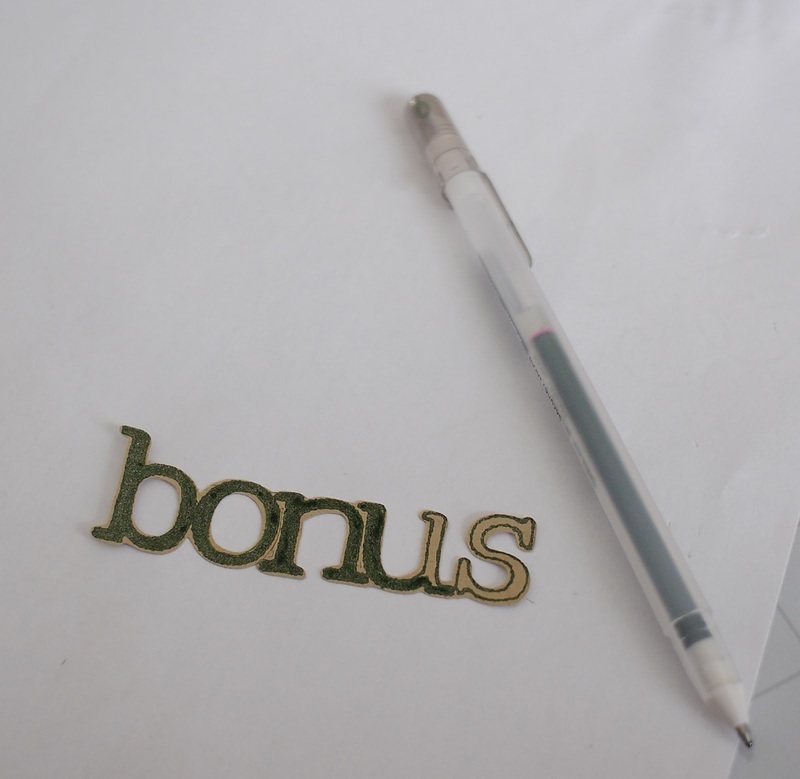 If you have a Cameo and you have not yet made it over to Kelly's Finding Time to Create blog, you don't know what you are missing! Kelly made this cute teacher appreciation card with the Chomas Creations adjustable pen holder for the Silhouette Cameo and a Galaxy Stardust gel pen. 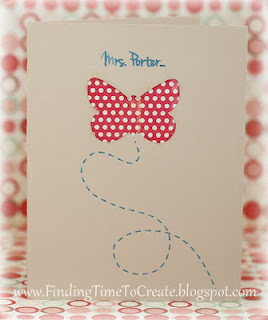 She designed the cute butterfly trail in Studio, and then used the holder to draw it! Head on over to Finding Time to Create for more details and do some browsing! Thanks Kelly for letting me share! 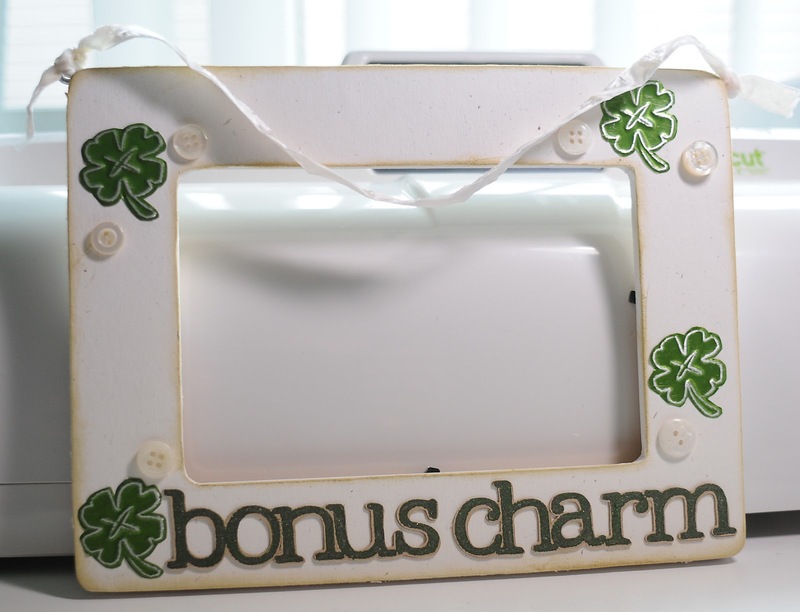 Check out this simple but cute card that Cecilia of Crafting in the Night did with the Chomas Creations adjustable pen holder and the Cameo! The card is a free download this week for the Silhouette Studio store, so sneak on over and grab it! 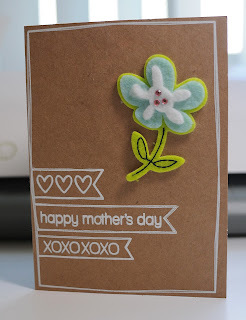 Head on over to Cecelia's blog for more details on how she made this cute Mother's Day card to! And don't forget to use the coupon code may10 at checkout in the Chomas Creations store to save 10% off your entire purchase! Tis the season for Mother's Day cards to honor the special moms in your life! This one is for my mom, and I wanted to bring a little sunshine and flowers her way! I used the Chomas Creations engraving tip for the Silhouette Cameo on some clear cardstock (like transparency but thicker) to etch the flower border design. I used the pressure on 33, the speed at 5 and double cut on the Cameo settings. The sun, grass and flowers are all Studio downloads. 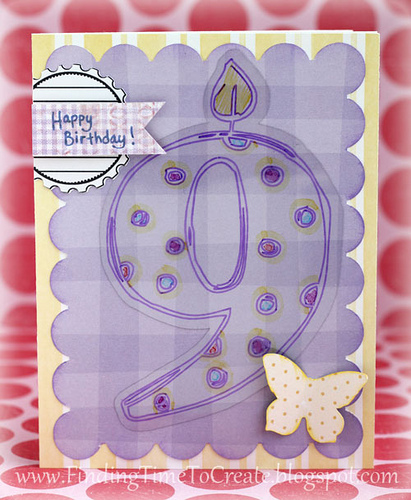 I love using clear cardstock to layer designs! And it folds nicely to make cards as well. 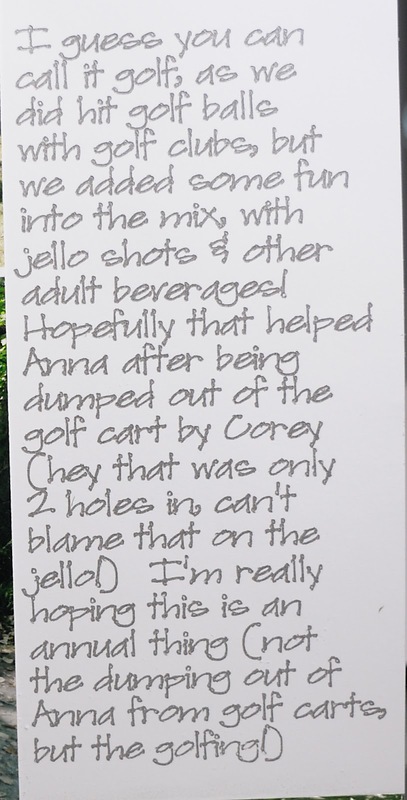 Click on any of the photos below to get a better idea of this card! It is hard to get a good pic of clear cardstock! Don't forget to use the coupon code may10 at checkout in the Chomas Creations store to save 10% off your entire purchase! 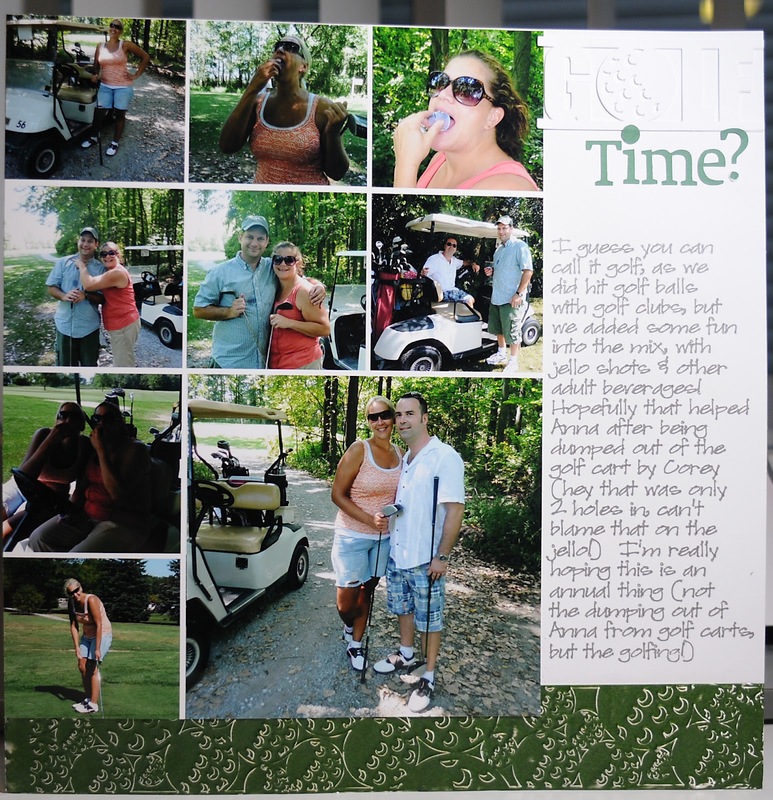 I had so many fun pictures from a golf outing I did last year that I knew I had to do one of these photo collages! I found this cute golf ball border in Silhouette Studio and used the Chomas Creations adjustable pen holder with a stylus to emboss the golf ball design on a metal sheet. 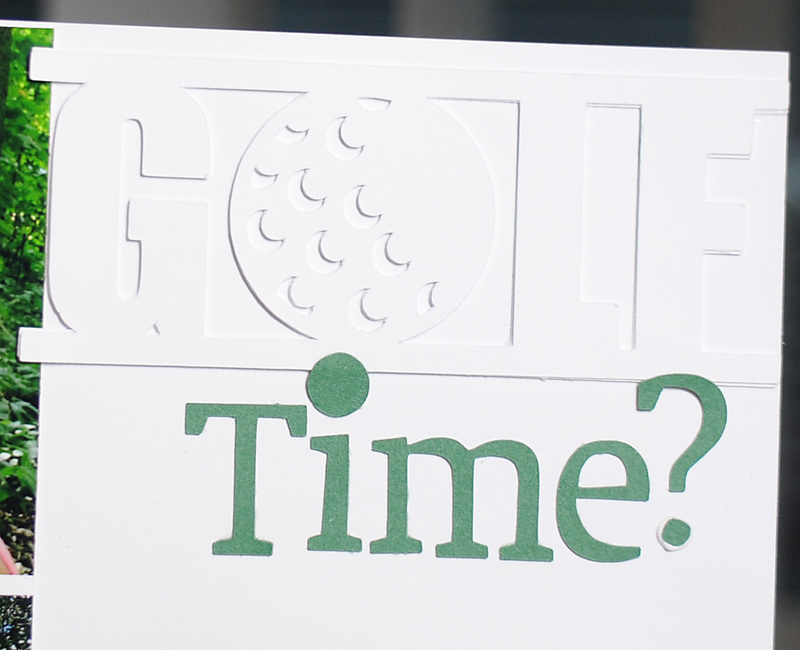 The golf title was also from Studio and I cut it out of white cardstock 3 times, and layered it. 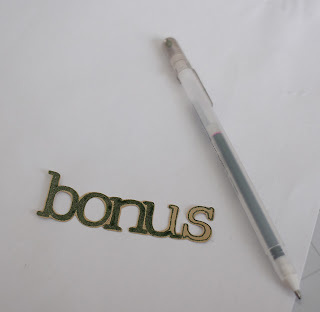 The journaling was done with some of the new Lettering Delights thin fonts using the Chomas Creations adjustable pen holder and a mini gel pen. I did the journaling right on the page! I love that I can journal on a 12x12 background even though I don't have a 12 inch printer! Here is the completed page, pay no attention to the crazy girl with a golf club! Are you ready to give some of the Chomas Creations tools a try? Use the coupon code may10 at checkout to save 10% off your entire purchase in the Chomas Creations store! I've been asked by a few people if you can use pens other then the Sharpie Liquid Pencils with the new Lettering Delights sketches, and the answer is YES! I thought I would play today, and I tried 2 different pens in the holders. 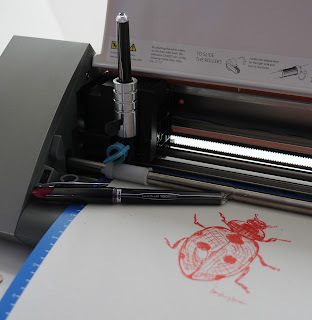 The first one I tried was the Uniball Vision Elite, which is a micro gel pen at .5mm. I got an 8 pack of these at Staples with 8 different colors! So it is nice to know that there is a variety out there as far as colors go for the sketches. These pens are quite a bit bigger around then a gel pen, and fit nicely in the Chomas Creations adjustable marker holder. I set my pressure on 3, and my speed at 4. 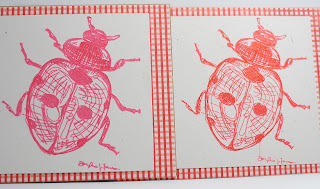 This was the new ladybug file from LD in the Cameo. The .5mm is quite a bit of a thinner line then the normal gel pen which is .7mm. 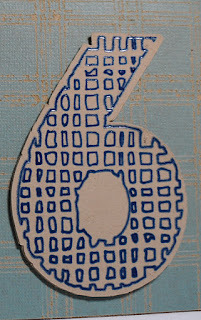 Then I tried one of the Chomas Creations glitter mini gel pens. 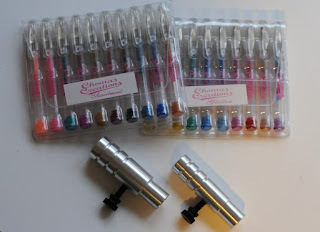 These fit in the Chomas Creations adjustable pen holder. You still get quite a bit of detail with these pens, as long as you keep the image a good size. These gel pens are the typical .7mm sized. 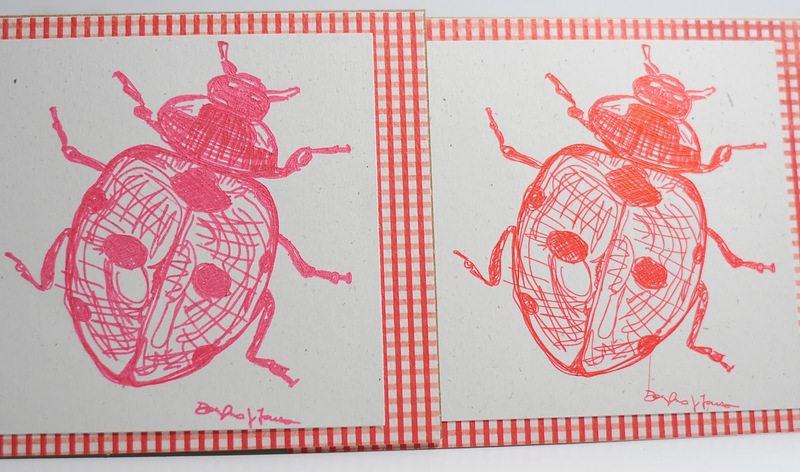 Here are the cards side by side, with the Chomas Creations mini gel pen on the left and the Uniball pen on the right. So YES! You can use other pens then the Sharpie Liquid Pencil! And don't forget, you can use the coupon code nsd15 to save 15% off your purchase of $35 or more in the Chomas Creations store! 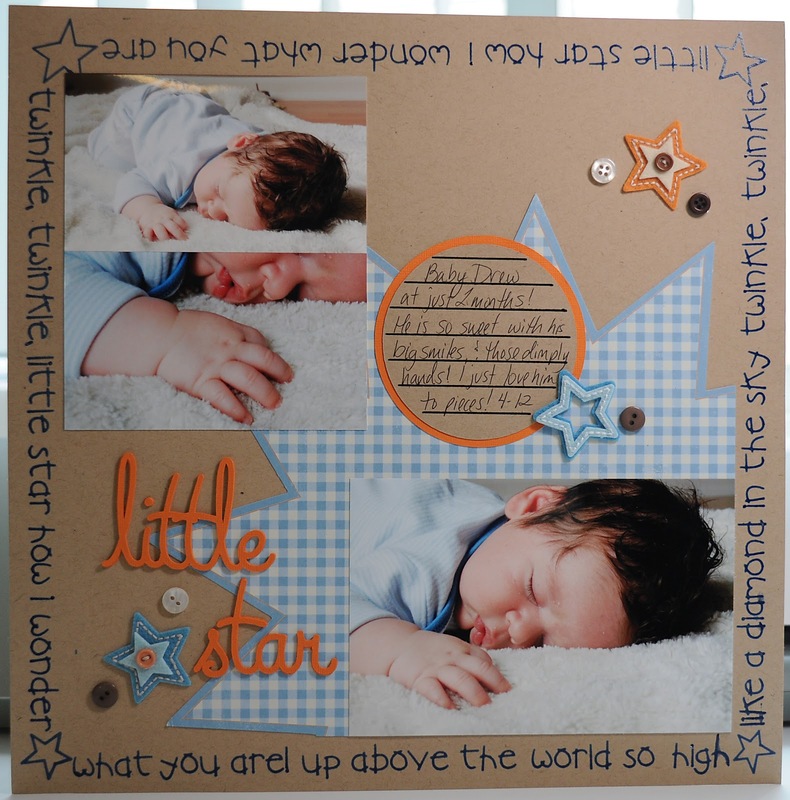 Don't forget it is National Scrapbook Day (or weekend!) 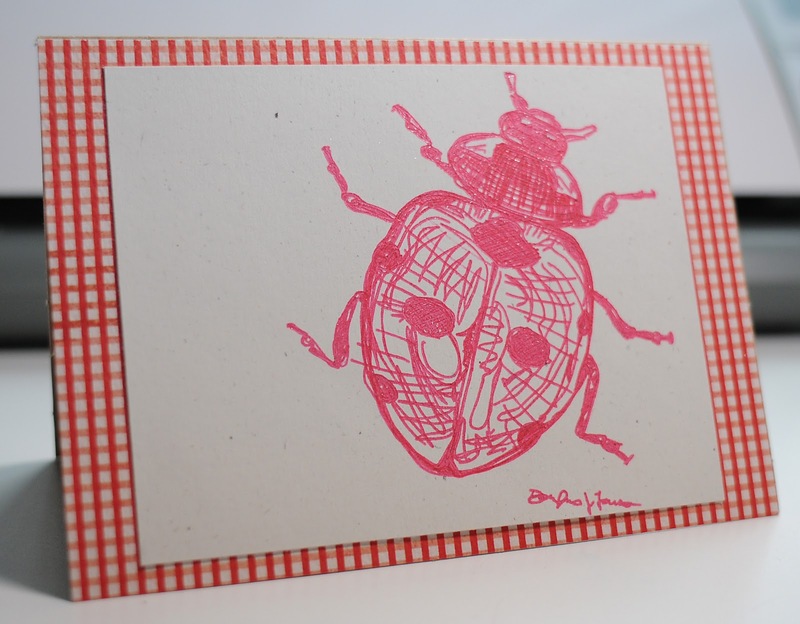 so you can use the coupon code nsd15 in the Chomas Creations store to save 15% off your purchase of $35 or more! I had a request to make this frame as a mother's day present. 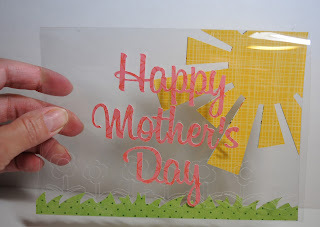 I used the Chomas Creations adjustable pen holder for the Cricut with a Sakura Glitter gel pen. I drew the words with the Expression2,and without removing my mat, I replaced the blade to cut shadow around them. Because I love all the glitter, I then colored in the letters with the glitter pen. These pens color really well! 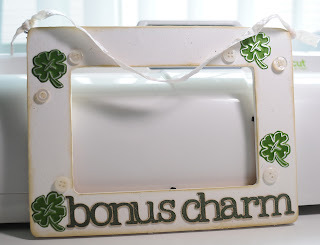 I then used the Chomas Creations embossing/scoring kit to make the shamrocks. By adding the metal sheet colored side down, I embossed, then sanded the raised image. Well being it is National Scrapbook Weekend, I figured I needed to do something scrappy! You can use the coupon code nsd15 to save 15% off your purchase of $35 or more all weekend in the Chomas Creations store (sale ends Sunday night at midnight Eastern time). 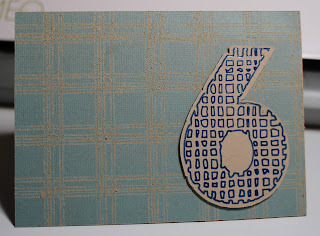 My "baby" will officially be 6 on Tuesday so I needed a very boy card! 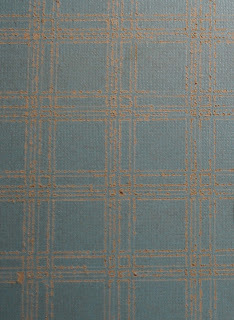 I used the Chomas Creations engraving tip on Core'dinations kraft core cardstock to get the plaid design. My speed was on 5, my pressure at 33 and I used the double cut option. This is a background from the Studio store. The 6 is also from the Studio store. I used the Chomas Creations adjustable pen holder with a Sakura Glaze gel pen. Notice how when you use the gel pens with the adjustable pen holder the pen is centered and you can cut a shadow around your design. 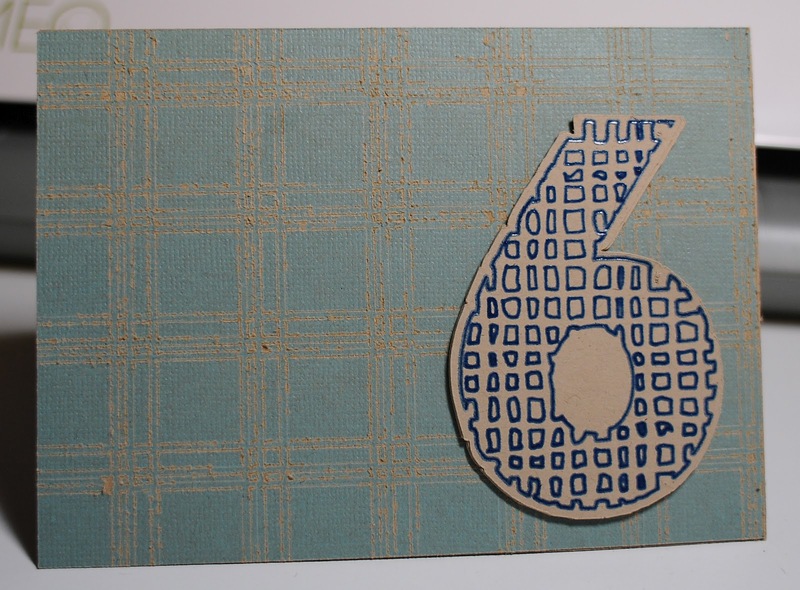 I made 4 of the 6's and layered them to add dimension. Chomas Creations holders and the Zing! I often get asked if Zing users can use the Chomas Creations adjustable holders for the Silhouette Cameo and the answer is YES! Great news as the adjustable holders can use such a wide variety of pens and markers. 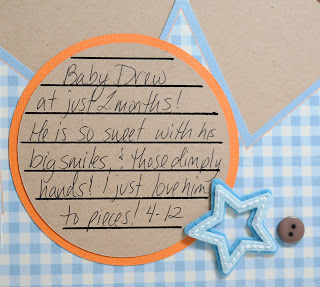 I want to thank Jeannie of Nonna's Scraps for taking these pics for me and doing this post on her blog for all of you! 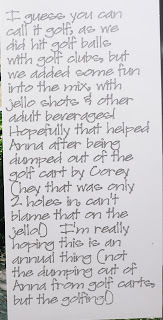 Single line fonts, KNK Zing and Amy Chomas---Oh My! Jeannie also has a video on how she centers the pens in the adjustable holder. This is the Chomas Creations adjustable pen holder in the Zing with a full length gel pen. Now Jeannie says this is the "o-ring" test and that you Zing users know what this means! And here is the pretty card that Jeannie made with the new Lettering Delights fancy flourishes, the Chomas Creations adjustable pen holder and a glitter gel pen. Now keep in mind if the adjustable pen holder works in the Zing, so will the Chomas Creations adjustable marker holder! The Chomas Creations adjustable holders will also work in the KNK Maxx, Groove, Groove-e and Eagle models. I used the Chomas Creations adjustable pen holder with a Sakura Glaze gel pen to draw the twinkle twinkle around the outside background. Because it does take a small amount of time for the Sakura Glaze pens to dry , I slowed my speed down to 3, and kept my pressure around 5. The title was a Studio download called twinkle twinkle little star. 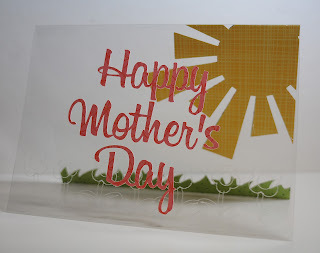 I cut it 3 times out of cardstock and layered the pieces to give it more dimension. The journaling circle is on I also made in Studio. More details on that, as well as the download are here... journaling circle. I used the Chomas Creations adjustable pen holder to draw these lines as well. Here is the finished page along with my cute new nephew! I can't get enough of this little guy!